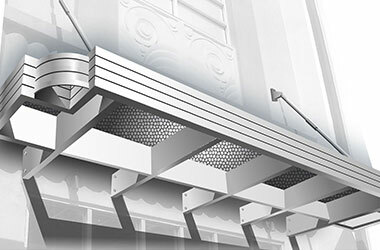 MASA Architectural Canopies is the leading resource for outdoor awnings in the entire United States. We first became established in the Northeast, and our National Corporate Headquarters is located in Piscataway, New Jersey. There is a MASA manufacturing facility in nearby Avenel, and we have another 4400 foot-plus production site in St. Clair, Pennsylvania. Our company sustains its national reach through our production centers in Pinellas Park, Florida and Adelanto, California. We have developed a number of different trademarked systems for builders and business decision makers that need metal awnings. Our well rounded team includes expert design professionals that can help you understand your options and develop a design that is perfect for your building. 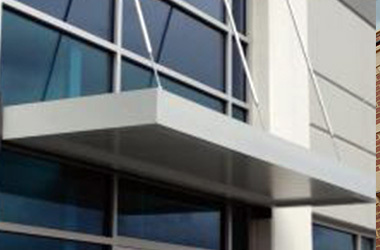 One option that many people that are looking for aluminum awnings often prefer is our Vision® custom canopy system. Free-form design possibilities abound, and you can choose between metal, acrylic, and glass. 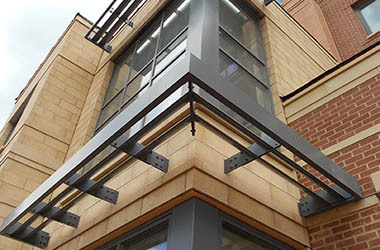 We custom craft our designs to fit seamlessly into the existing theme, and these outdoor awnings are tough as nails. The standard finish is the Tiger Drylac Series polyester resin-based protective coating. Another option is the highly regarded DURANAR® Fluoropolymer coating that comes in many different colors. 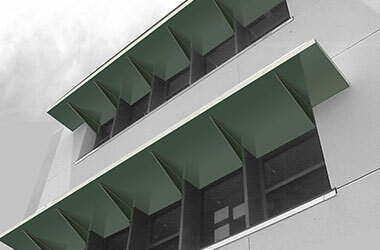 Extrudek metal awnings are also very popular. A long lifespan is important when you are investing in outdoor awnings, and this option provides superior durability. There is a built-in drainage system that can be configured to work in conjunction with your structure’s existing drainage solution. These aluminum awnings are extremely strong, but they are lightweight, so you have a wide range of installation possibilities. If you want to allow controlled light to enter your store, this system will work for you perfectly, and the design is fully customizable. 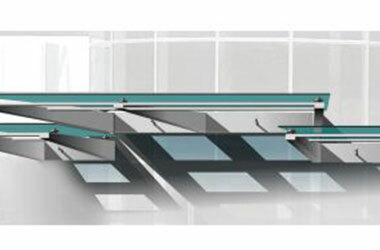 We have been building our reputation for quality, innovative outdoor awnings for more than two decades and counting. The products that we develop are truly state-of-the-art, and our installation technicians are the best in the business. Plus, we place an emphasis on responsive, communicative customer service from the first point of contact onward. When you work with us, you will immediately recognize something we like to call “the MASA difference” when it comes to the client experience. If you are ready to discuss aluminum awnings with a knowledgeable member of our team, we can be reached by phone toll-free at 800-761-7446.